Have you ever visited or used the website Make and Takes? 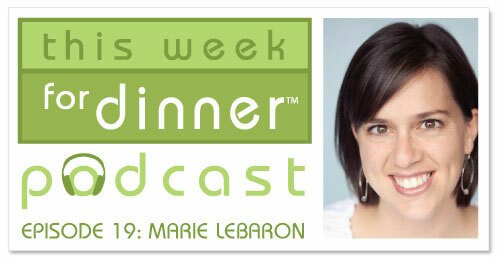 It’s pretty amazing and the talented woman behind that site is Marie LeBaron. I’ve known Marie for many years. She is a business partner of mine as well as a dear friend. Marie is the queen of crafting with kids but is also a great home cook and is skilled at getting kids involved in the kitchen. In today’s show Marie shares one of her favorite recipes as well as several great kitchen tips, so be sure to listen in! If you enjoy the podcast, please leave a rating and/or review on iTunes!